This young man's love for crickets knows no bounds. Science graduate Tan Ming Kai spends at least three days a week searching for the elusive insects, and has already uncovered 35 species of crickets and their close cousins, the katydids, which are completely new to science. The 25-year-old named one of them after another of his loves - his mother, housewife Toh Siew Tin, 65, who had joined him on a survey in Thailand where he discovered the cricket, the Arnobia tinae . "She has been supportive of my research since I started," said Mr Tan, who has just graduated with a science degree from the National University of Singapore. He admitted, however, that his mother still does not know he has named the cricket after her. "I just think it is a bit awkward to tell her. Maybe it is an Asian culture thing where we don't really show our feelings." Part of his collection is being used at the Lee Kong Chian Natural History Museum for research. 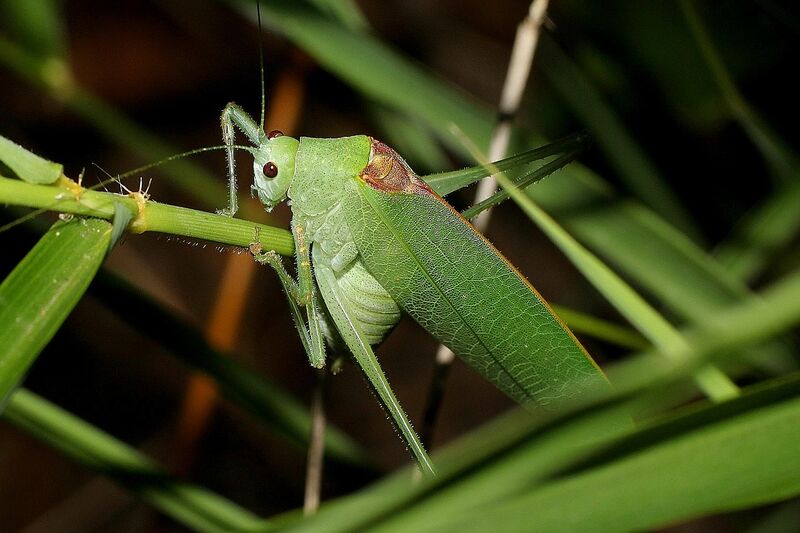 Grasshoppers, crickets and katydids belong to the order Orthoptera (straight wings). Mr Tan has discovered 25 of the 250 species found in Singapore to date. The other 10 in his collection are from the region. Armed with a torchlight and an insect net, he often makes excursions to the Bukit Timah Nature Reserve and Central Catchment Nature Reserve, both areas being prime real estate for the creatures. At his peak, he was out in the field almost every day, morning and night, for three hours each time. And although he says he has since cut down on his expeditions, he still spends at least three days a week searching for them. Mr Tan said that his interest in the insects started when he was in kindergarten. He would catch them and keep them in plastic containers as pets. Although he was always an animal lover, he had a special place in his heart for crickets, though he cannot explain why. "I would cry when they died," he said. He made his first discovery in 2011, a katydid which he named Asiophlugis temasek because the small light-green insect with bulging eyes is a species native to Singapore. And that find was what spurred him on. He has since expanded his research to other parts of South-east Asia, including Bukit Larut in Peninsular Malaysia and the Sakaerat Biosphere Reserve in Thailand. Mr Tan has spent so much time studying the insects that he can now predict how each of them will hop, simply by their appearance. And he can tell common species apart instantly, a process which initially took him around two hours. Mr Tan is pursuing a PhD in biological sciences at the National University of Singapore, where he will focus his research on the dietary preference and diversity of common orthopterans in Singapore, and whether flower-visiting katydids help with pollination. "What I hope to understand is how a tiny insect like a cricket affects an entire ecosystem," he said.